somewhere in the same health and ammo files there'll be some part called healthBG and ammoBG, or similar, decrease the tall and wide values of those to make the box smaller. The name and health that appears during a freezecam is near the top left instead of the middle. Go to: "freezepanel_basic.res" and edit "FreezePanelBase"	[$WIN32] play with xpos and ypos. Is it even posible to remove the black shade when opening the finding game option? Changing "Shade" in "matchmakingdashboardsidepanel" does nothing. I also tried to add a shade to cover the bottom part but it only covers the side panel. Did you try messing around with the animation for the Shade element? It's called CasualCategory_Selected in hudanimations, try disabling that maybe? _KermitDid you try messing around with the animation for the Shade element? 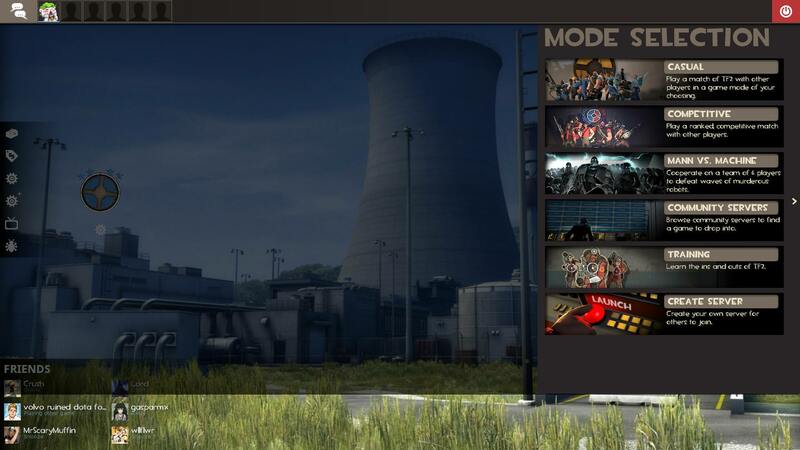 Yes, but that controls the shade that appears when you click the button "casual" then on the core game modes. [quote=_Kermit]Did you try messing around with the animation for the Shade element? #5585 It’s an element the game calls in called “dashboarddimmer”. It’s not included into any file currently, and from my extensive testing and messing around, actually appears to be controlled by the engine itself, using sourcescheme.res to draw its border. So at the moment, it’s impossible to hide it properly until someone finds out the animation that calls the “dashboarddimmer” element in and makes it so it doesn’t. omni#5585 It’s an element the game calls in called “dashboarddimmer”. It’s not included into any file currently, and from my extensive testing and messing around, actually appears to be controlled by the engine itself, using sourcescheme.res to draw its border. Oh well, we tried. Thanks! [quote=omni]#5585 It’s an element the game calls in called “dashboarddimmer”. It’s not included into any file currently, and from my extensive testing and messing around, actually appears to be controlled by the engine itself, using sourcescheme.res to draw its border. So on the topic of dashboarddimmer, I've tried my hand at it and currently this is what I've got. It seems to be working for me, but I've only spent a short amount of time with it so your mileage may vary, and it might not be the best method either. However this will add even more load time (though reloading the main menu doesn't take too long) and still keep the other issues. The only "change" to the sidepanel now is that I actually have to click the arrow within the sidepanel to close it, clicking outside the sidepanel does nothing now. is there any way to remove the onscreen killstreak weapon messages? the ones that appear in the centre of the screen i mean. i'm guessing not since i've never seen edited versions of this element, but it would be nice if i could get rid of it. Edit: Nvm, i was able to remove a line that does it. How would I change the size and place of the respawn timer for myself when I'm dead? I like my current hud but the respawn timer is too small and out of the way imo. ENDHow would I change the size and place of the respawn timer for myself when I'm dead? I like my current hud but the respawn timer is too small and out of the way imo. Respawn timer when you die is located at "Spectator.res" - "ReinforcementsLabel": play with xpos, ypos and font size. 1st: Is it possible to add the ammo in reserve while healing someone? 2nd: What about adding the "ammo in clip" and "in reserve" to the target id when watching someone's perspective in a vod? hello anybody that reads. I'm using a hud called "bearhud" and I'm editing some of the positions and colours and I'm currently very stuck on trying to change the colour of the cloak meter and the words that say "feign" and "cloak". Here are two screenshots, one of the hud itself, and one of the "huditemeffectmeter_spy.res" (The location that I believe the editing field is for the spy cloak meter). I've tried many many solutions. 3. I tried changing the header and the "fieldName" to include an _Color e.g "ItemEffectMeterLabel_Color"
Can't find the answer anywhere and you lovely folks helped before. 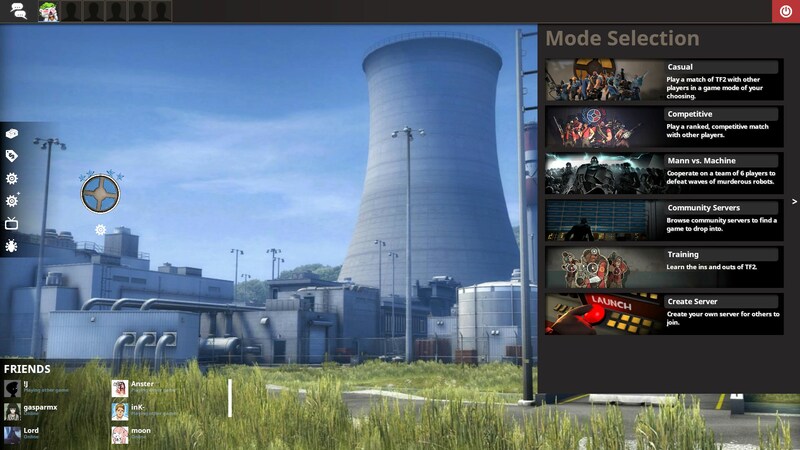 How do you enable Casual / comp badges to show in the scoreboard? And what is the location of the scoreboard stats, as in "damage - " "invulins - " and how do you change what they're known as? GraepCan't find the answer anywhere and you lovely folks helped before. Idk about your first question. for the scoreboard look into "scoreboard.res" and look for "killslabel", "kills", "assistslabel", "assists", etc. also I can't remember but i think i changed the title and fieldname and added them a number such as "killslabel2" and deleted the original ir order to work. [quote=Graep]Can't find the answer anywhere and you lovely folks helped before. I've been trying to find a way to get the end of the round scoreboard to display (top 3 players with the most points, etc.). Not sure if this is a bug with the HUD or was intended, but if anyone here could help me enable this post-round scoreboard -- that would be amazing. To figure this out go to "winpanel.res", starting from "Player1Badge", "Player1Avatar", "Player1Name", "Player1Class" and "Player1Score" (it goes up to 3), check if any of this is set to visible "0" enabled "0" or if the xpos and ypos values are way too high in order to hide them. If they are, play with xpos and ypos values to your liking, they are individual so you will need to move each one of them around. To figure this out go to "winpanel.res", starting from "Player1Badge", "Player1Avatar", "Player1Name", "Player1Class" and "Player1Score" [b](it goes up to 3)[/b], check if any of this is set to visible "0" enabled "0" or if the xpos and ypos values are way too high in order to hide them. how to disable that red & blue background? Someone helped me out with that before, here you go. thanks for answer but it doesn't work. i'm trying to use uwu hud's tornament spectator. phoxSomeone helped me out with that before, here you go. [quote=phox]Someone helped me out with that before, here you go. anyone know how to adjust where the position, size and affected area of the scrollbar on the scoreboard.